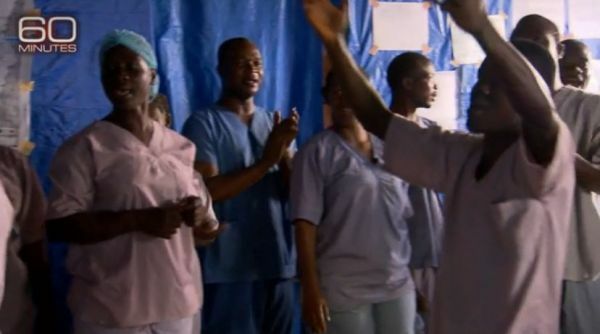 On 60 Minutes, CBS reporterLara Logan (11/9/14) presented a dramatic and emotional account of the fight against Ebola at one treatment facility in Liberia. But there was just one problem: Liberians didn’t speak on the broadcast. 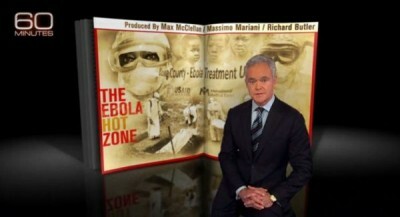 Indeed, the focus of Logan’s reporting was the US medical workers who had traveled to Liberia to care for the sick–”more than 2,000 Americans leading the response,” anchor Scott Pelley explained in his introduction, “and more on the way.” The segment was based on life at one treatment center run by the International Medical Corps, with CBS focusing on the American doctors and nurses treating the sick. The stigma of the disease is so great, many of them say they’re treated as outcasts when they commute back home every day. But in here, the Americans who work with them call them heroes. In sweltering heat and often 100 percent humidity, they cover every inch of their bodies in plastic and rubber armor. They’re so hard to recognize, they wear their names on their foreheads.